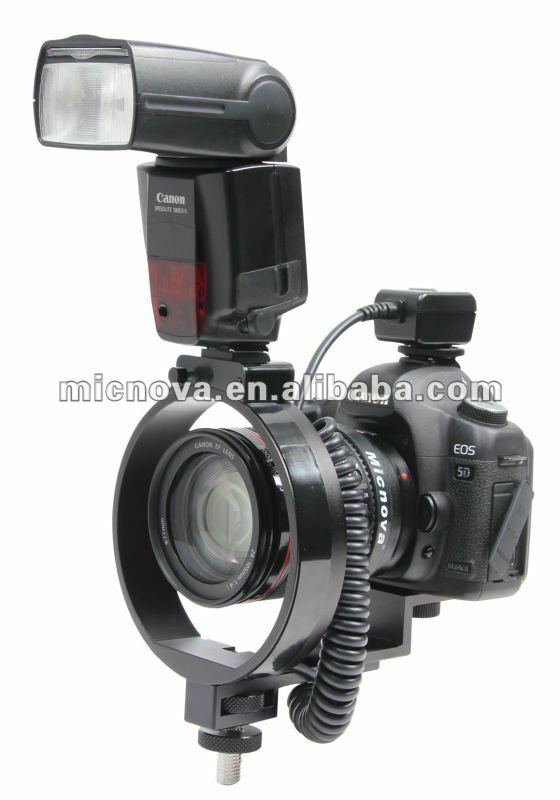 A Chinese company has created a rotating camera flash bracket not unlike the RayFlash Rotator. 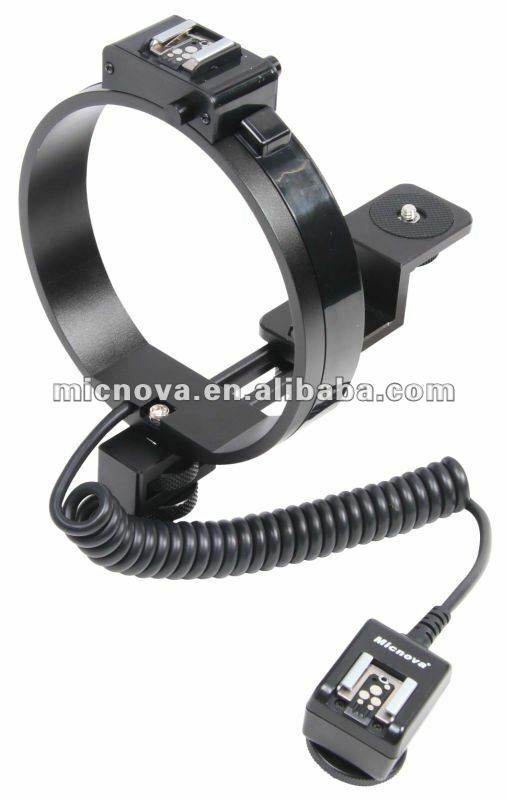 Chinese firm Micnova has created a 360° rotating flash bracket, the FF-360, with built-in Canon E-TTL communication. The setup is aimed at events photographers using on-camera flash and who would like to to take pictures in both landscape and portrait orientations without ugly side-shadows. The E-TTL wiring is built into the bracket itself, so that you don’t have cords dangling everywhere. That is all well and good and seems like a good design, except we have seen it before. On this web site, in fact, when the RayFlash Rotator was announced in March 2011. That one is from an Czech company, RAY FLASH s.r.o., which has both Nikon and Canon versions available in different countries. Micnova have made a couple of changes, though it is uncertain how much value has been added to the original design. One of them was adding an extra TTL hotshoe on the camera’s end of the cable, but this seems a bit pointless: if you’re using this bracket then you already have an on-axis flash mounted, so having another would be unnecessary, surely? It could be used for a radio transmitter, though this is not an idea promoted in the product description. What do you think? Going a step further, you could have four flash heads surrounding your camera lens, but who would think of that? It is not clear yet when the Micnova FF-360 will go on sale or the pricing. The RayFlash Rotator is distributed in the UK by Flaghead Photographic, where it sells for £118, and in the USA by ExpoImaging, priced $149.95.